Eye to Eye is a documentary about paranormal activity. Based on the truth. 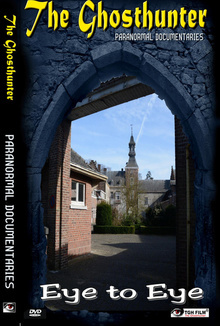 Welcome to the paranormal world. We bring you 5 locations in one movie. 1. A haunted hotel where strange occurrences take place. A wealthy past leaves its traces to this day. Women are being harassed by an entity. The exorcist captures him with an EVP (Electronic Voice Phenomenon), 2 mediums witness the whole event. 3. A haunted old farm house. There was a negative entity wandering around and the deceased owners where also still present. 4. Fort Chartreuse in Luik, Belgium. A lot has happened during the war and one can still sense it today. An EVP voice screams “Mother !”, a swinging lamp and many other paranormal clues linger throughout the barracks. 5. The hotel school in an old castle dated 1400 A.D: Cold spots and energetic places. You are being followed and it is watching you. Truly a haunted castle which contains a secret that is well hidden.